Business Founded: Chloe Leibowitz – Inspiring Women. Biography: Chloe is a trained and award- winning Life Coach. Chloe believes her real-life skills and experiences are what allows her to build the really deep, trusting relationships with her clients, and actually understand what they are grappling with. Chloe lives with her big combined family of 7 in Berkshire. 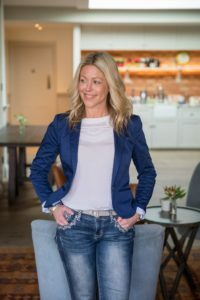 Life is about seeking progress, not perfection, and Chloe works with women who are trying to get their businesses off the ground, but are usually lacking the confidence, focus, organisation and planning. Having been in that situation herself, she knows and has experienced those issues. Chloe works with 1-2-1 clients and runs workshops. She is also an Ambassador for The Business Girls Network and runs monthly meet-ups for my Henley & Marlow area.